keep you from playing the game! Prepare now for the spring season. 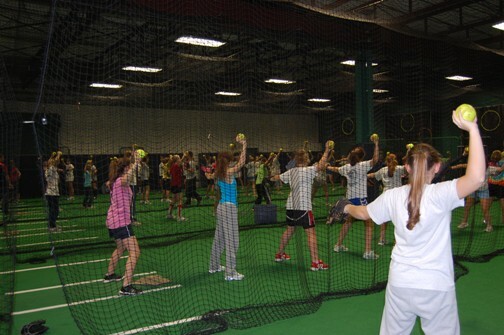 MGSL is hosting hitter's and pitcher's training this winter. MGSL will contact the players who own or sold the winning tickets via email. Helmets- Helmets should fit snugly on the player's head and must have a face mask. Chin straps are no longer required. Specific sizes vary by manufacturer, but generally include tee helmets (6U), junior helmets (8U & 10U), and senior helmets (13U). Bats- As a rule of thumb, when standing with arms extended, the knob of the bat should reach the crease in the player's wrist. Generally, this corresponds to a 25 or 26 inch bat for 6U, 26-28 inches for 8U, 27-29 inches for 10U, and 29-32 inches for 13U players. Fielder's Mitts- For young players, the ball is big & the hands are small, the largest glove that a player can control is generally best. As players age, infielders will want gloves that are relatively small while outfielders & 1B will benefit from a larger mitt. Cleats- The only restriction placed on cleats is that metal spikes are not allowed in any MGSL games. Multi sport athletes should note that softball style cleats may not be used when playing soccer. 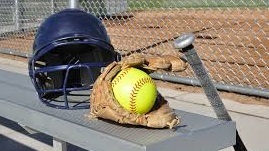 * Please note that MGSL provides coaches with team helmets, bats, catchers gear & fielder's masks. 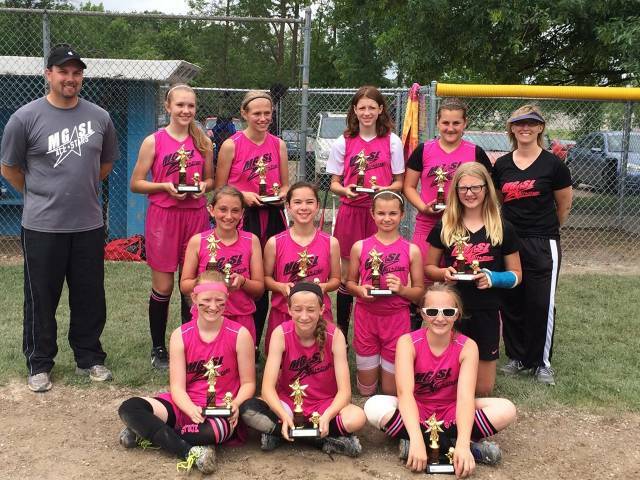 Interested in sponsoring your daughter's team this season? Perhaps you'd like your business advertised on a backstop for hundreds of local fans to see throughout the season. MGSL is looking for businesses and individuals willing to donate for the 2018 season. Donations of cash, merchandise, and services are accepted. Donors of $50 or greater may elect to be recognized on uniforms, field banners, T-shirts, or website advertisements. 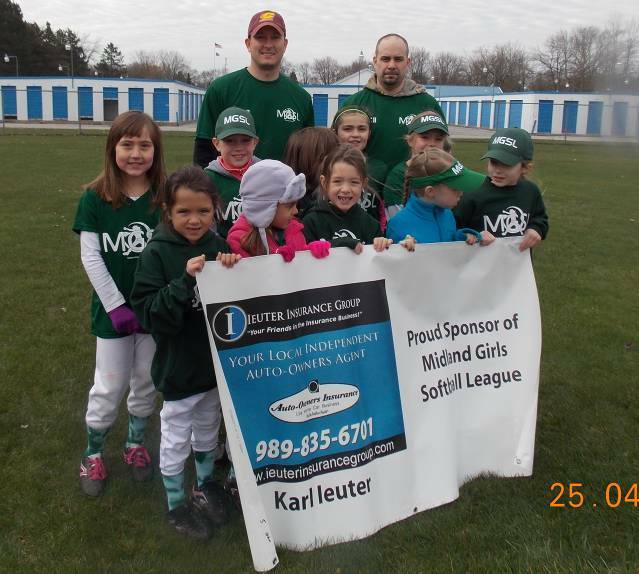 Please consider supporting youth athletics while promoting your business with MGSL. All donations will be directed towards team uniforms, equipment and facility upkeep. For more information, please contact us at themgsl@gmail.com or 989-750-5625. 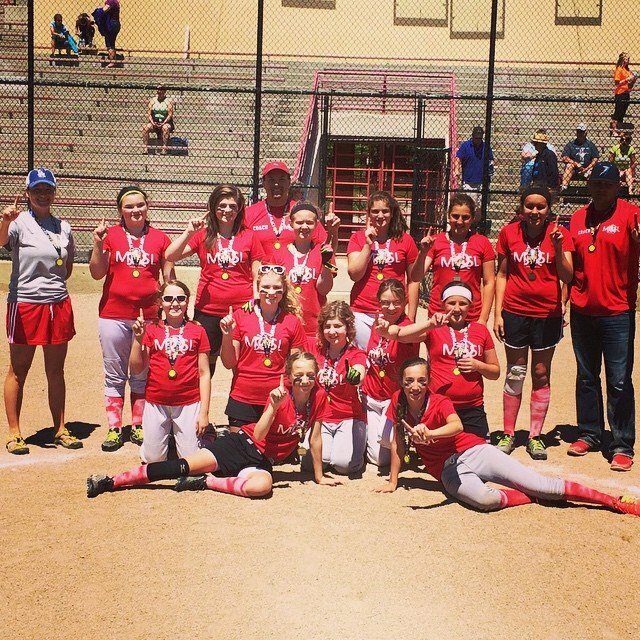 MGSL is a 501c3 registered non profit organized to advance youth softball in and around the city of Midland. All league administrators and coaches are unpaid volunteers. If you are able to assist in any way please fill out one of our volunteer forms. 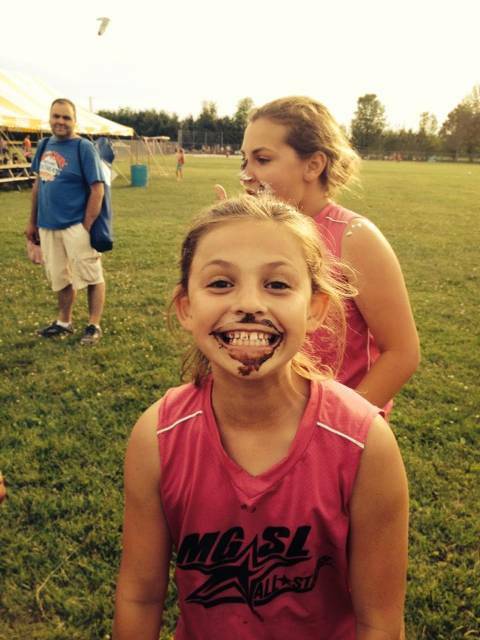 Thanks for supporting youth softball! All players must have a birth certificate on file with the MGSL. If you have played with MGSL previously, a birth certificate should already be on file with us. To confirm if we have a copy of your birth certificate from a previous season please search for your name on the list of birth certificates on file. Looking to buy sports gear online? Follow this link and MGSL will receive a commission on any purchases that you make at Epic Sports. You must enter Epic Sports through this link for the commission to register. We'll use these funds to purchase equipment and to keep player fees low. If at first you don't succeed........... try second base.